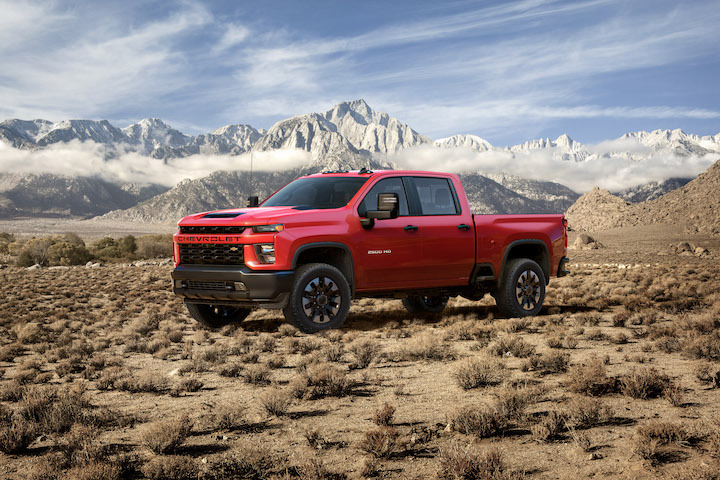 Earlier this week, General Motors unveiled the 2020 Chevrolet Silverado HD at Flint Assembly, the factory that will build it and its GMC Sierra HD equivalent. Along with the new pickup, GM also announced it was adding 1,000 new jobs at the facility. There, workers build 250,000 trucks per year—or one every 90 seconds. The news comes as General Motors begins a restructuring plan designed to save the company $6 billion by 2020. The proposal called for unallocating five North American factories prior to UAW negotiations, laying off thousands of both salaried and hourly workers, and discontinuing several low-profit models. Employees from Detroit-Hamtramck have accepted a transfer to Flint Assembly while others from Lordstown are also moving to the Michigan factory. Those are two of the plants GM plans to idle by the end of the year. Flint Assembly isn’t the only factory in need of more workers. Last year, GM said it had 2,700 job openings across several North American facilities that included its Spring Hill (Tennessee), Arlington (Texas), and Bowling Green (Kentucky) plants. GM also said about 2,800 employees could be affected by its proposed plant closures. The addition of 1,000 jobs at Flint Assembly is the latest news in a months-long saga for the Detroit automaker as it navigates the fallout from its announced restructuring. When GM announced its plan, critics from both sides of the political aisle came out of the woodwork attacking the automaker. Both the UAW and Unifor denounced the plan, with Unifor taking the hardest stance against the company, holding protests, blocking access to GM’s Canadian headquarters, and airing an aid in Canada doing Super Bowl LIII that had GM contacting its lawyers.